Set at the historic Barr Mansion in Austin, Texas, this bridal shoot is a laidback look at Texas bridal style. From the steps of the whitewashed porch to the ivy-covered walls, each detail and corner of this location adds to the overall vibe of this bride’s special session. 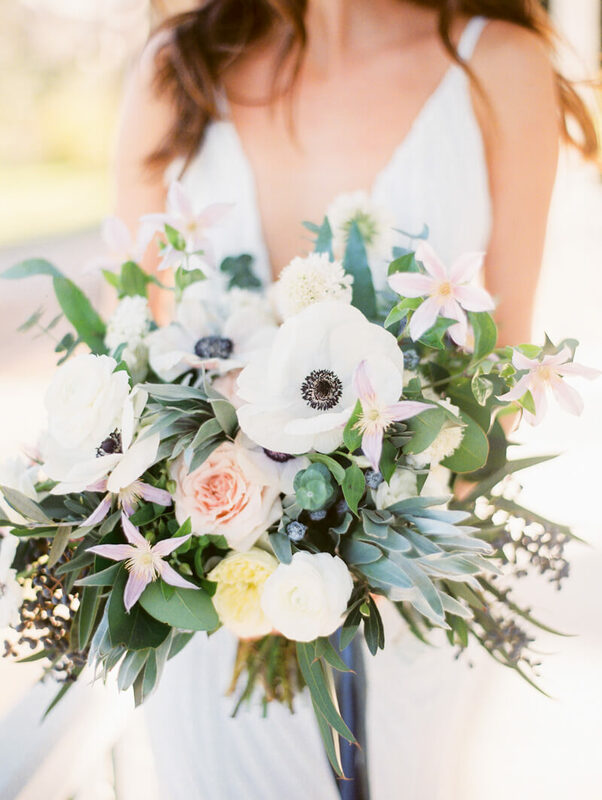 With cool tones, light, fresh florals and the windswept elegance of a bright Texas day, the happiness is palpable with each frame. 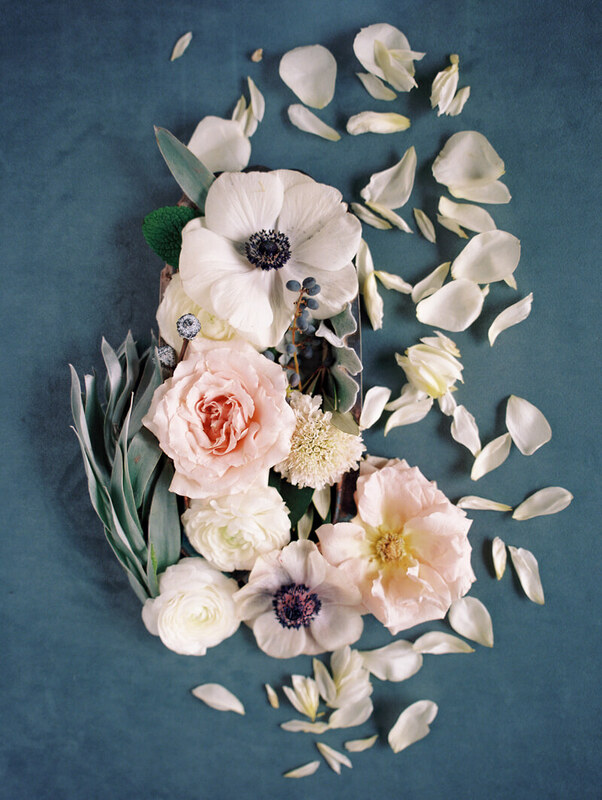 Flowers are a central theme to this shoot, as well as the cohesive use of light blue. In addition to the bridal bouquet, the invitation suite incorporates a floral design that mirrors the flowers chosen by the bride and the blue color for which she loves. 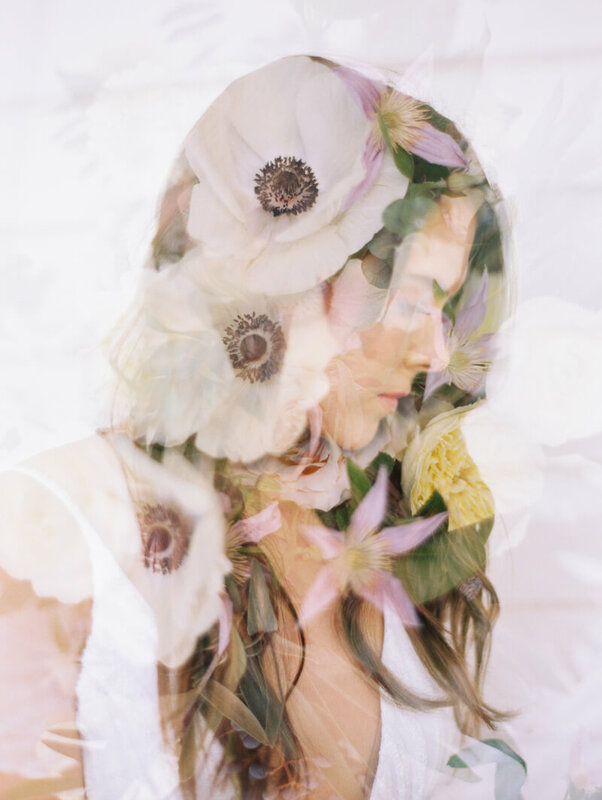 The photographer captures a gorgeous double exposure, showing the bride’s profile with that of the black anemones that appear so prominently in her bouquet. The bouquet features an assortment of texture and soft colors to create a loose arrangement. The selections combine for a modern and elegant look, polished off with blue silk ribbons. She stands on the pathway leading to the mansion, where her chapel-length veil frames her figure-flattering gown and her lovely bouquet. On the porch, the details of her gown are on display, including the simple straps, plunging neckline and train. Because her gown features a sleek, simple design, the choice of long, loose curls and stud earrings is perfect. Her makeup and hair style are the ideal complement to her bridal gown choice. The bride smiles and shows off her stunning art-deco inspired engagement ring. She grabs her bouquet and adds her veil for another beautiful bridal shot on the porch, where the wind brushes past and sends the ribbons dancing. The photographer finishes the shoot with classic black-and-white photos. 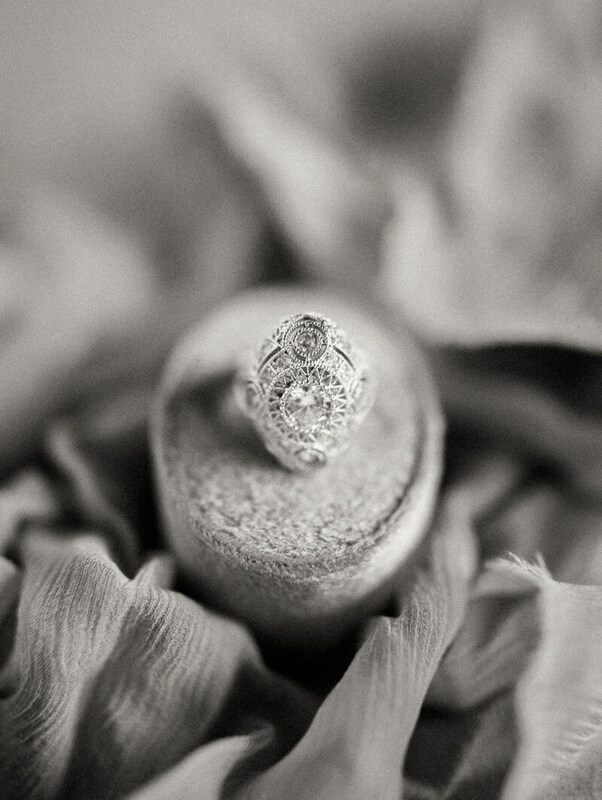 One is an up-close look at her ring, where all the intricate details can be seen. The second is a simple shot of the bride, with just an authentic and natural expression full of honesty and emotion. This bridal shoot from Austin shows why the Barr Mansion is not only a popular wedding venue but proves that a location can truly enhance a bridal session. With the bride’s fresh, laidback style, a simple elegance was captured in a genuine, natural way. 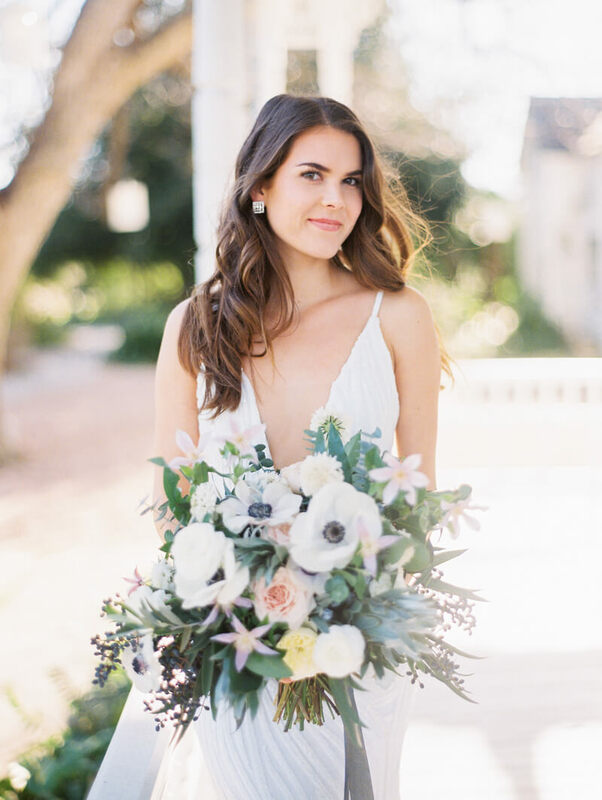 By incorporating a picture-perfect bouquet and the soft touch of blue, this shoot had just the right amount of personality to show this bride’s true style while quietly celebrating this remarkable Texas landmark.